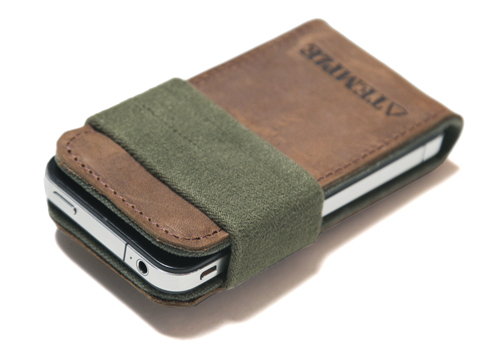 This versatile iPhone case has an outer layer made of 100% oiled saddle leather. 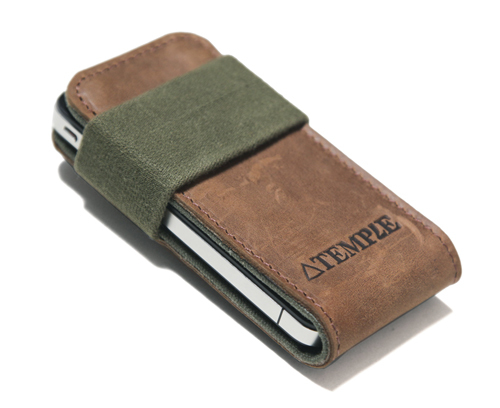 It has a re-purposed canvas inner lining and re-purposed suspender strap. 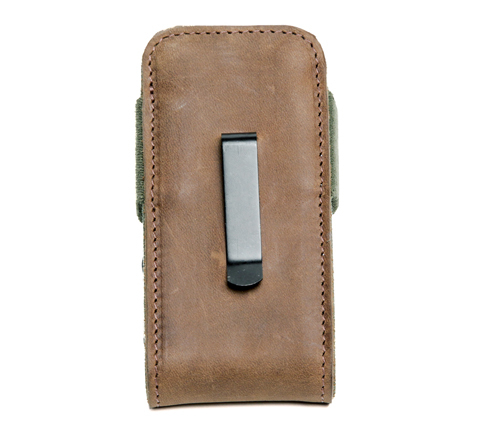 The back of the case also has a clip that can be used as a money clip or belt clip. 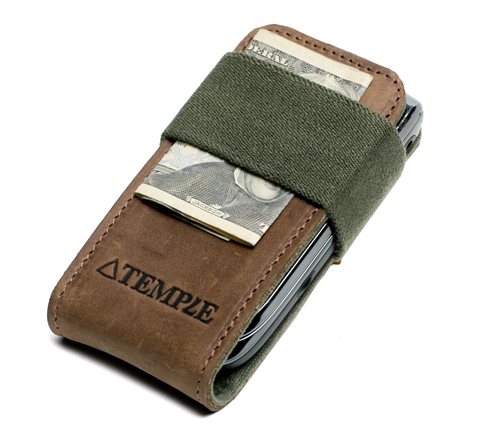 You can also use the iPhone case as a wallet by tucking money under the suspender strap.